“I do not want my daily life to become public,” pleaded Prime Minister Wilfrid Laurier when asked in 1896 for some personal information from a journalist. While the reporter may not have received an answer to his question, he was neither the first nor the last to try to better understand the inner lives of Canadian prime ministers — who have consistently been the subjects of our attention over the past 150 years. There are dozens of biographies of Canadian prime ministers, almost all of them focusing on prime ministerial acts and deeds, their successes and failures, and the constant re-evaluation of their legacy. While there is space in any book, specialized biography, or high school text for John A. Macdonald’s drinking, William Lyon Mackenzie King’s spiritualism, and Pierre Elliott Trudeau’s irreverence, J.D.M. Stewart’s Being Prime Minister is entirely devoted to the daily lives of Canada’s prime ministers. A teacher of Canadian history in Toronto, Stewart has written a book that is wonderfully gossipy and is built on anecdotes and stories — “history by the ounce,” as historian Barbara Tuchman called it. Stewart tells us much that is new in a number of thematic chapters about the twenty-two men and one woman who have so deeply shaped our country. To weave together the many stories, Stewart has read widely, delved into the archives, and even — somewhat amazingly — interviewed six former prime ministers. Most striking is the long hours worked by all the leaders, as well as the incredible stamina of many of the older ones. Almost every waking moment was devoted to some task or meeting, or to responding to other politicians, the cabinet, civil servants, or the mass of well-wishers, donors, or patronage seekers. Several of the prime ministers — Macdonald, Robert Borden, and Richard Bennett — almost died from overwork. Stewart cleverly compares and contrasts the leaders. In one of many examples, he illustrates the change from the time of Macdonald and Laurier, each of whom wrote dozens of letters a day in response to all manner of requests, to today. Now a modern army of staff supports prime ministers who have trouble simply staying on top of the correspondence that amounts to two million letters and emails a year. Stewart offers captivating stories ranging from the prime ministers’ breakfasts and reading material, to the places they took their vacations, to their interactions with celebrities. Speed-reading through papers, absorbing briefing books, finding time to send the kids off to school, or sneaking in a swim between meetings were all part of the ritualized and rigidly planned day-to-day activities of these leaders who were rarely alone. Stewart finds humour in all the greats and not-so-greats, ranging from Lester Pearson’s folksy charm with American counterparts (and everyone else) to Louis St. Laurent’s gentle words with workers at Parliament, and from John Diefenbaker’s exuberant charisma on the hustings to Stephen Harper’s piercing jokes with his inner circle. There is almost no venom for the various leaders; Stewart writes with respect and admiration throughout the book, especially as he describes prime ministers dealing with crises over housing, travel, and health. The book includes a revealing chapter on the rise of security details and the incomprehensible incompetence of the RCMP, who all but abandoned Jean Chrétien and his wife to an assassin who broke in to the prime ministerial residence at 24 Sussex Drive in Ottawa. All authors make choices of omission in a thematic book like this, and I lamented the fact that so little space was devoted to prime ministers’ partners. One is struck, for example, by Maryon Pearson’s sharp observation that “Behind every successful man stands a surprised woman.” More of that, please. 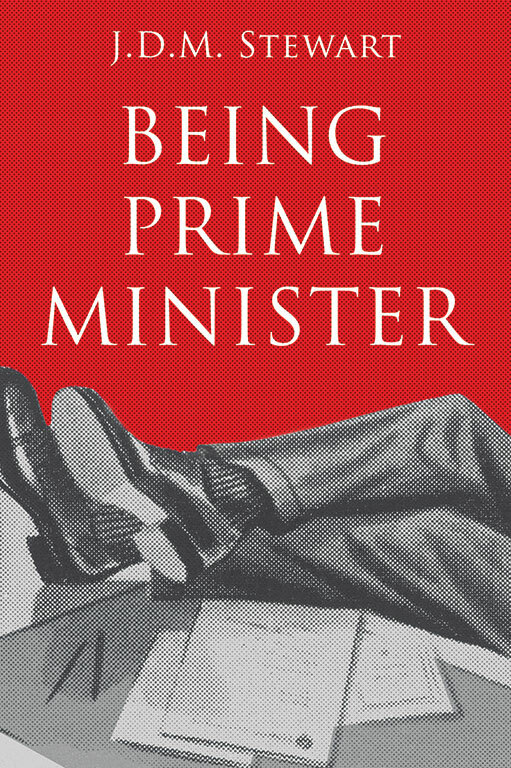 Nonetheless, Being Prime Minister is a good read that brings together multiple stories of how the country’s political leaders spent their days and nights in the relentless grind they all loved so dearly. Tim Cook is the author of eleven books, including The Secret History of Soldiers: How Canadians Survived the Great War (2018). This article originally appeared in the December 2018-January 2019 issue of Canada’s History. Book Review: A research associate, Maybee contends that the man who was blamed for the terrible 1917 explosion — which killed and injured thousands and levelled entire swaths of the city — was wrongly persecuted and vilified in the wake of the tragedy.